Depression is an all-too-common disorder among teenagers, affecting an estimated 10 to 15 percent of teens, or 1 or 2 out of every 10. Once parents have recognized the signs their teen may be depressed and reached out to a pediatrician or counselor for an accurate diagnosis, it’s time to make a plan. The good news is that treatment options abound. But the plethora of choices can feel overwhelming to parents who are adjusting to the new normal of life with a depressed teen. But no matter how overwhelming or confusing it might be, it’s essential for parents not to be dissuaded from taking action. Whether or not to prescribe a teen medication for depression is often the primary concern parents have when working with a therapist or psychiatrist to develop a treatment plan. Often, experts say, the decision to medicate depends on the diagnosis the teen has been given. For moderate or severe depression, however, many experts recommend a combination of medication and therapy, a decision parents need to make together with their child’s doctor or therapist. Perhaps the most controversial aspect of medication for depression is the “black-box warning” that appears on many anti-depressants, cautioning that patients taking the medication may be at higher risk for suicidal thoughts or actions. Studies have found that these warnings have dissuaded some parents from using these medications. But Murray says much of the concern is misplaced, and that parents should have honest conversations with their teen’s doctor before making the decision to avoid medication. “For every 150 kids who started an antidepressant, one may have increased thoughts about suicide,” he says, adding that research does not show an increase in actual suicide attempts or completions. 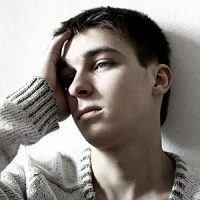 Failing to appropriately seek professional help and treat teens with moderate to severe depression, however, does increase the instances of suicidal thoughts and actions. Crucial to the success of any treatment plan—whether it involves talk therapy, medication, lifestyle adjustments, accommodations at school, or a combination of these elements—is regular professional monitoring. Parents should advocate for weekly appointments during the first month of treatment, says Murray, and twice-monthly exams for the next 9-12 months to make sure the treatment is working or make any adjustments that may be necessary. Encouraging communication among a teen’s care team—including doctors, therapists, social workers, and school counselors—as well as between clinicians and parents also will help the teen get the best, most consistent treatment. For teens who are on medication, monitoring is of particular importance, and parents should not be alarmed if the doctor recommends changes in medications or dosages. Murray says 60 percent of teens will respond to any given anti-depressant medication, and of those who don’t, 30 percent of those will respond to a different medication. Sharing information about family members who have tolerated certain medications—or had difficulty with them—will help clinicians prescribe with the greatest chance of success. Treatment for depression doesn’t stop at the psychiatrist or therapist’s office door. Parents, siblings, and friends may need to learn new ways to communicate with the depressed teen, especially at the beginning stages of treatment. A supportive home environment is an important complement to the clinical interventions a teen is experiencing. Offer unconditional support and let a teen know you can handle anything they have to tell you. Don’t give up if your teen doesn’t want to talk at first. Remind him that you’re there whenever he’s ready to talk. Make listening a priority and try to avoid lecturing your teen about how she “should” feel. Be validating about the difficult emotions your teen is experiencing, acknowledging painful feelings even as you’re encouraging steps toward healing. Outside of new avenues of communication, experts advise parents to maintain as much normalcy as possible, even around issues like chores and behavioral expectations. 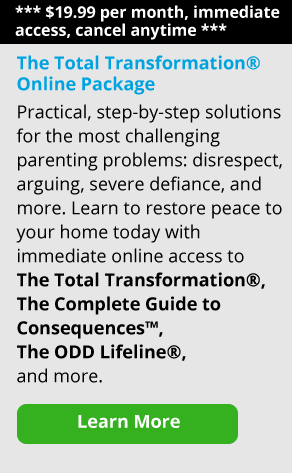 “Parents need to have normal expectations and structure and not tiptoe around the child,” says Janet Lehman, the co-creator of The Total Transformation program and a clinical social worker with 40 years of experience working with teens and families. Naturally, if a child is adjusting to medication or returning home after time at an inpatient facility, there will be a period of transition during which parents may consider backing off expectations around chores, academic work, and life routines. But once the teen begins to stabilize, parents should—working with their professional team along the way—shift back to the family’s routines around mealtimes, school work, behavioral expectations, and chores. “The goal is always to return to the structure” that worked for the family before the depression started, says Lehman. With a smart, thorough treatment plan in place, your teen is more likely to see their depression go into remission and, eventually, recover from it. Holly Lebowitz Rossi is a freelance writer who specializes in health, parenting and religion. She’s the co-author of Yoga for a Healthy Lower Back: A Practical Guide to Developing Strength and Relieving Pain, and she lives with her husband and son in Arlington, Massachusetts.